Rick Shone is the owner of Wilderness Supply Co., celebrating 20 years in business this year. It’s not an exaggeration to say it was a life-altering moment when Rick Shone first entered the Wilderness Supply store on Ferry Road as a customer in 2000. A year later, Shone joined the store as a part-time summer employee, then he met and began dating Elysia Sjoberg, the daughter of Wilderness Supply’s owners, Frank and Jan Sjoberg. Shone and Elysia eventually married and in 2009 he took over the business from his in-laws. Memories from those early days have Shone feeling nostalgic this year as Wilderness Supply celebrates its 20-year anniversary. “When they opened in 1995, the store was probably less than 1,000 square feet and it was just jam-packed with canoes,” Shone recalled from the store, which has long since doubled in size by taking over a neighbouring tenant. Like any small business owners, the Sjobergs took a risk when they turned their love of camping, paddling, and hiking into a full-time venture, but their success resulted in the expansion of two more stores in Thunder Bay, Ont., in 2004 and a second Winnipeg location in 2012 on Speers Road, just off Lagimodiere Boulevard. 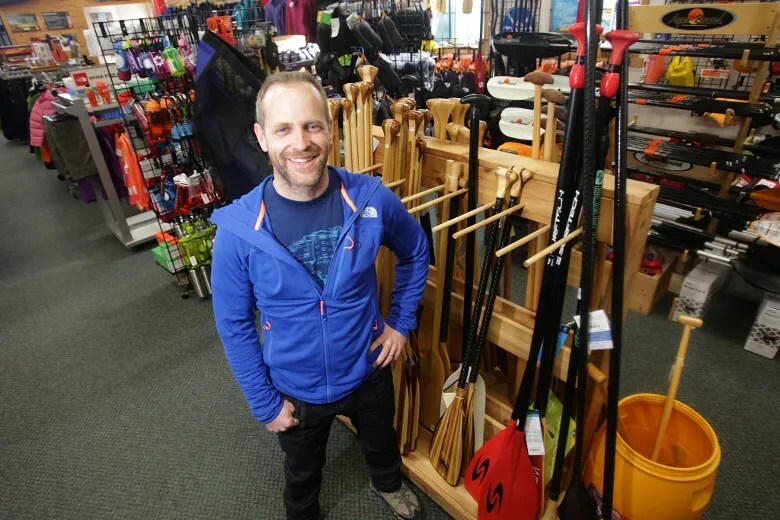 Boasting “the largest selection of canoes, kayaks and SUPs (Stand Up Paddle boards) anywhere in central Canada,” finding enough floor space continues to be a challenge 20 years later. Previous Article Hub Trail went to council March 6th – any updates?